Edward Snowden, wanted by the United States for leaking extensive secrets of its electronic surveillance programmes, has been awarded Sweden’s Right Livelihood Honorary Award often referred to as the “Alternative Nobel Prize”. Facebook is purging accounts that carry pro-second amendment and pro-liberty information in a censorship purge that has accelerated over the past few hours, with innumerable pages being disappeared merely for posting legitimate political content. 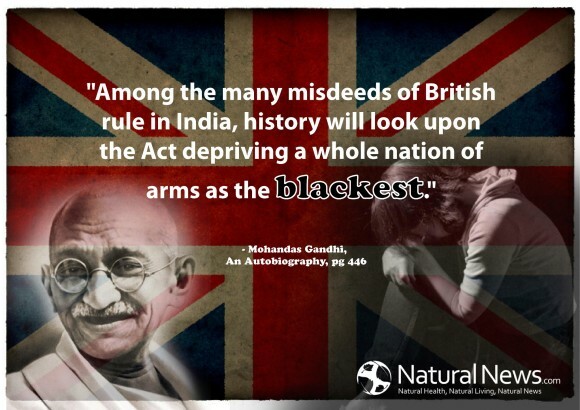 NaturalNews.com’s Mike Adams contacted us to alert us to the fact that “Facebook banned our account for posting this,” with an attached image of a Gandhi quote about how the British disarmed the citizenry during their rule in India.